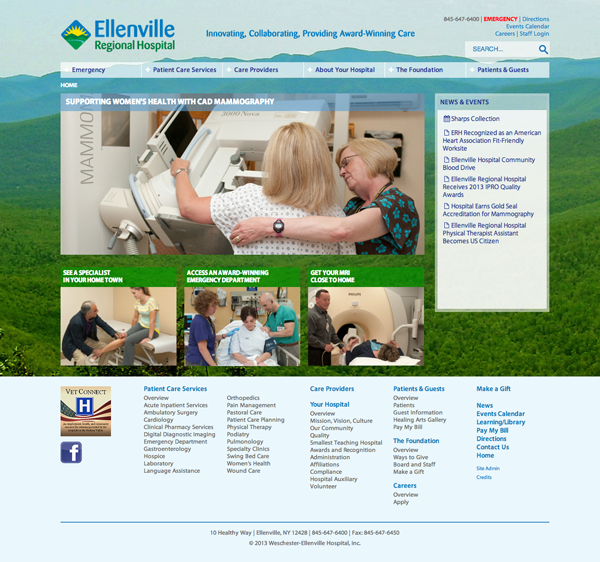 Just launched the new website for Ellenville Regional Hospital. Ellenville Regional Hospital is located in Ellenville, NY. They are a great success story in rural healthcare delivery. Ellenville’s staff were a delight to work with and everyone contributed greatly to the project’s success.